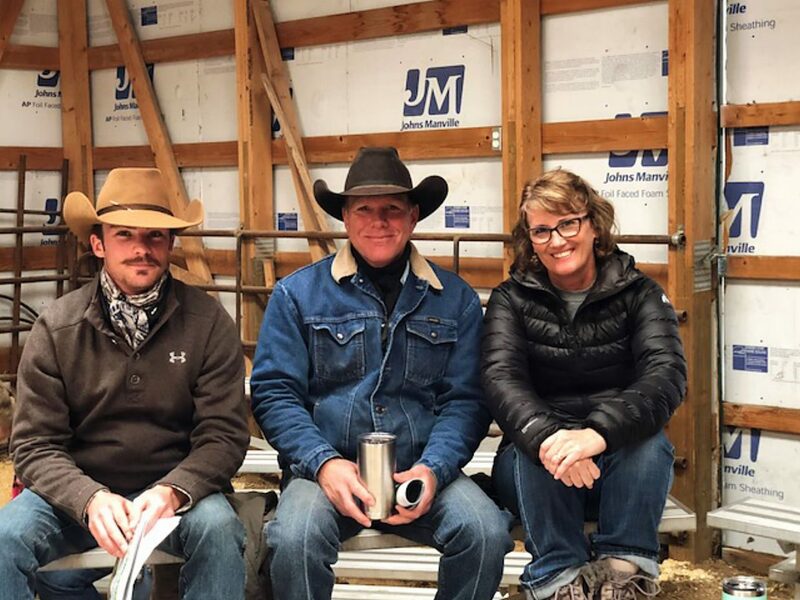 Tanner, Scott and Amy West from Lusk, Wyoming. Tessa Manning along with Mandy and John Moore enjoying the sale action. 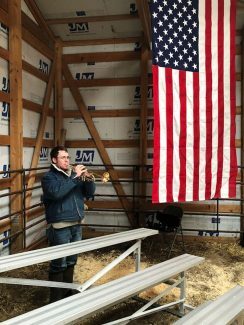 Clayton Williams, son of JD and Lisa Williams from Lusk Wyoming, plays the national anthem before the start of the sale. 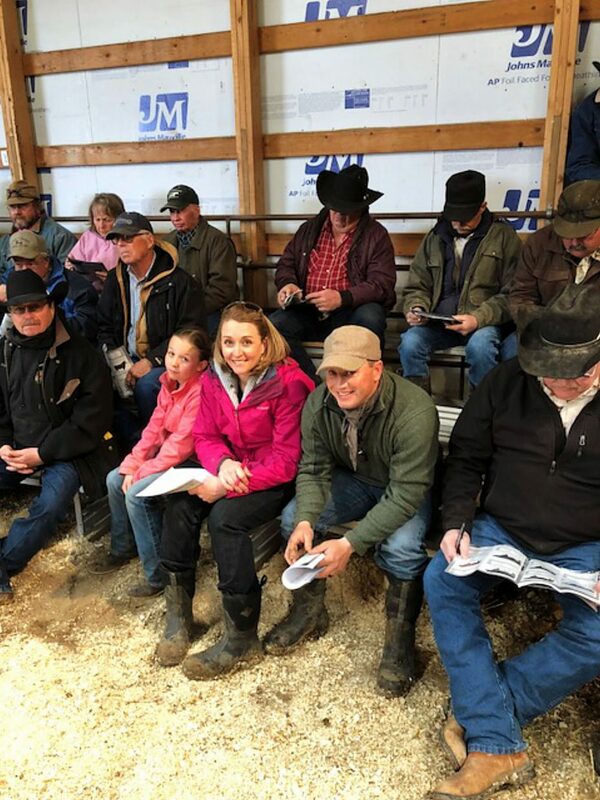 It was a packed house April 4th, 2018 for the 11th annual WEBO Angus production sale held at the ranch near Lusk, Wyoming. The York family once again presented a classy set of bulls featuring shape, muscle, and profile for the sale. 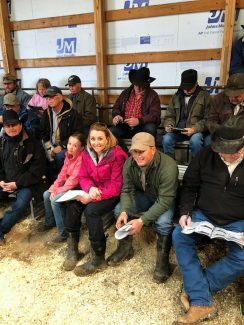 We finished up the day selling 28 head of open commercial heifers and two nice Manning ranch geldings. Congratulations on a successful sale!